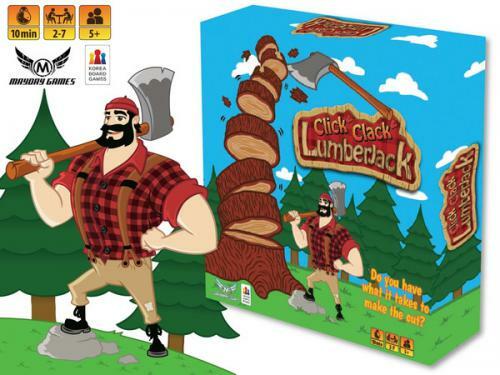 Fill in your details below and we will let you know within 24 hours if we can get Click Clack Lumberjack 2.0 to you with haste! This is a dexterity game that really is a blast, just AXE your friends... yeah we just said that. Fast-paced classic dexterity game for 2-7 players featuring an Axe, a tree, some grubs and an infinite amount of fun from Korea! We've taken the original Tok Tok Game, added the grub stickers and extra variants of Click Clack Lumberjack (2013 version), and thrown in the 3-player and multi-level scoring of Bling Bling Gemstone, and put it all together with brand new packaging for a comprehensive game that offers the best of all three games!